Bettye Hyde Co-operative Early Learning Centre needs your support at this critical moment in its development. Standing at the corner of Blackburn and Osgoode Streets, the landmark Carriage House has been transformed through the cooperative actions and efforts of a group of committed Ottawa residents into a centre for family services. As you can imagine, transforming these premises into a modern day care facility comes at considerable expense. 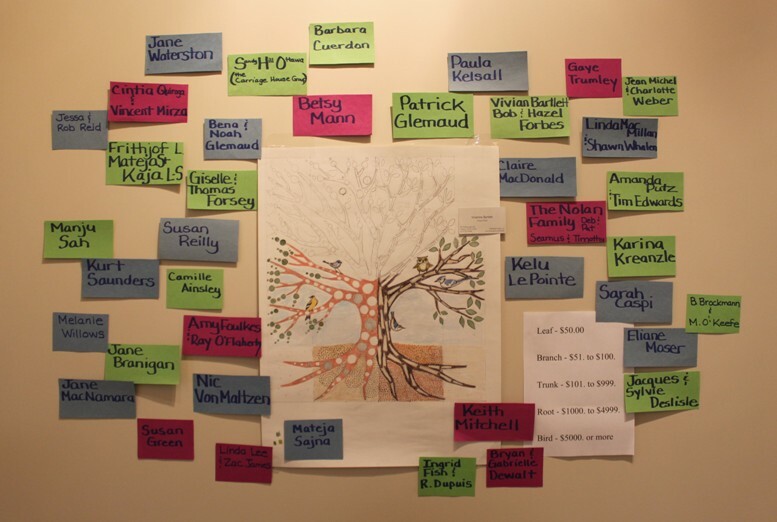 We are appealing to parents and alumni to continue to give back to your community by making a contribution to the Bettye Hyde Co-operative Early Learning Centre Giving Tree campaign. All donations are tax deductible. 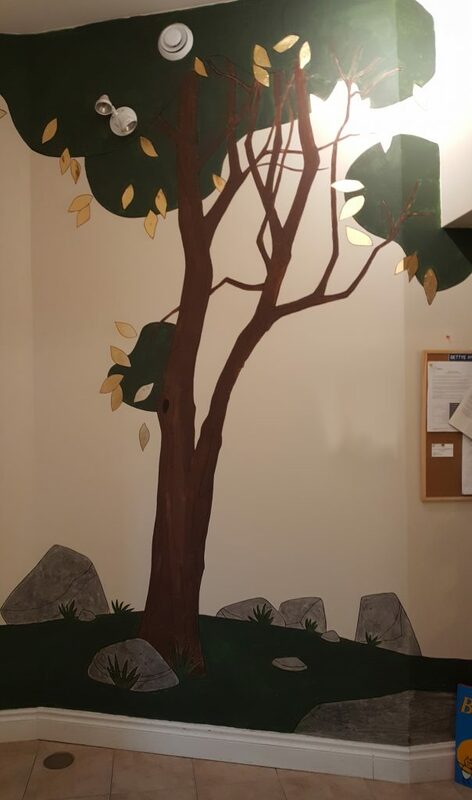 Moreover, contributors will gain permanent recognition with the inscription of their names in a beautiful Giving Tree mural to be painted by renowned local artist Vivienne Bartlett at the new Carriage House home of Bettye Hyde Co-operative Early Learning Centre. · Branch $50 – $100. If you would like to make a donation, please send a cheque, payable to Bettye Hyde Co-operative Early Learning Centre and a tax deductible receipt will be mailed to you. Bettye Hyde Co-operative Early Learning Centre is a registered, non-profit, charitable corporation. We issue tax receipts for all donations over $20. You can make a secure, credit card donation using the Canada Helps website. Using our charitable number: 106790819RR0001, you can donate to Bettye Hyde through United Way Ottawa. On their site you can donate using a credit card, by mail or over the phone. In addition to these direct donation opportunities, you are more than welcome to participate in our annual fundraising events. In the fall, we host a fun-filled Trivia Night and Silent Auction and in the month of June we host our Spring Fair where we invite the community to gather for a family street party. Watch our Facebook page and Twitter feed – as well as this site for details as the events draw near.